Your home should be a safe haven where you can relax in comfort and security. Unfortunately poor indoor air quality can make your home uncomfortable and unsafe. Your local HVAC repair service in Murfreesboro can help you get an idea of the quality of your indoor air and provide you with tips on how to enjoy fresher air. You will want to do everything you can to make sure that your HVAC units are not circulating dust and debris throughout the home; this is an asthmatic’s worst nightmare. Keep reading if you would like a few tips for improving your indoor air quality. The right humidity level can make your home feel more comfortable, but it can have other effects as well. Regulating the humidity level of your indoor air can prevent the presence of excess moisture, thus reducing the chances of mold growth and dust mites. You can use both a dehumidifier and an air conditioner to moderate your humidity level and maintain control over the presence of allergens in your home. Open a window whenever you use an appliance that creates steam so that moisture in the air can escape, and make sure to take care of any plumbing leaks immediately. Your floors may seem like an unlikely culprit when it comes to poor indoor air quality, but they actually have the potential to cause a disaster. Kicking up dust as you walk around the house can add dirt, debris, and chemicals to the air that affect your air quality. Use a quality vacuum to ensure that you get rid of the various allergens that may be lying in wait around your house. It is a good idea to mop floors after you vacuum them for an extra layer of security. Smog and smoke are common pollutants that affect outdoor air, but they can affect indoor air too if you are not careful. If you use tobacco, make an effort to smoke outdoors so that you are not directly contributing to poor indoor air quality in your home. Tobacco smoke contains many carcinogens that should not be introduced to your air. Indoor air quality can make a significant difference within a home; high quality air can create a comfortable and safe atmosphere, while low quality air can spread dust mites and other allergens through your ductwork in Murfreesboro . If you want to take an active role in improving your air quality so that you can keep these allergens from causing trouble around the home, you may want to consider calling an HVAC service and having your ducts cleaned. Continue reading if you are interested in learning how Rotobrush air duct cleaning works. Rotobrush air duct cleaning seeks to improve your indoor air quality by removing contaminants from your HVAC appliances, ductwork, and homes altogether. Your HVAC service professional will start by cleaning the register covers. He or she will remove any type of substance or material that can contribute to the collection of dust, such as nicotine film and cooking oil film. The focus is then shifted to your air conditioner and other HVAC units; your technician will provide a deep clean of all of the associated components. Once these sources are cleaned, your HVAC professional will brush, vacuum, and sanitize your air ducts to keep contaminants from circulating through them. Summer is just around the corner, which means that you’ll soon be relying on your air conditioner to keep you comfortable while you’re at home. Roughly 43 percent of the average monthly utility bill goes towards cooling and heating, which can put a strain on the environment as well as your wallet. This summer, take steps to save energy on air conditioning, such as having an air conditioning service near Murfreesboro install a programmable thermostat. You should also have your HVAC unit inspected so that any minor repairs can be handled before they become major problems. Air conditioners that aren’t working properly end up using more energy to keep you cool. Take a look at this infographic to learn more about what you can do to save energy while still staying comfortable this summer. Please share with your friends and family! Air conditioners are expensive appliances, but they’re worth every penny. You only need to imagine for a moment what it would be like to be without AC in Murfreesboro during the summer to realize the importance of air conditioning. However, that doesn’t mean all air conditioners are the same or even right for you. These tips will make sure you end up with an AC system that’s perfect for your needs. Your HVAC installation contractor can also help. Central air conditioning systems of today are significantly more energy efficient than AC units that are just 10 years old. If you want to save even more on your monthly energy bills, consider buying an air conditioner that exceeds federally-mandated efficiency standards (SEER 13). You’ll pay more for a higher efficiency AC system, but you’ll also save more over the life of your air conditioner. If you want to cut back on your energy costs and prioritize energy-efficiency while shopping for a new air conditioner, look for additional features that can help you save money. 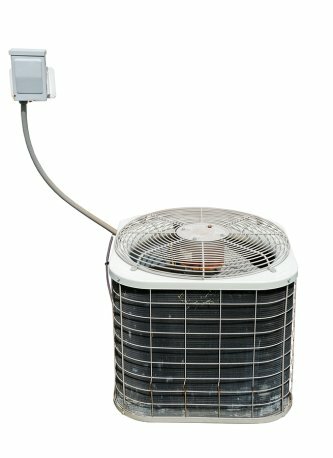 For example, an air conditioner with a fan-only switch allows you to use the unit for nighttime ventilation, which can substantially reduce AC costs. Another helpful feature is a filter check light, which can remind you to check the air filter and clean or replace as necessary. This can help you save money by maintaining the efficiency and performance of your air conditioner. 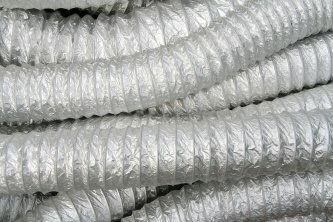 One of the most critical elements in determining air conditioner efficiency is proper sizing. A unit that’s too large will cycle on and off constantly, while a unit that’s too small will not be able to attain a comfortable temperature. To make sure you choose an appropriate air conditioner, have an HVAC company in Murfreesboro come into your home and perform a load test. This test will tell your AC installation professional what size unit is ideal for your home. Air conditioning is like electricity and indoor plumbing—it’s hard to imagine modern existence without it. However, air conditioning itself is not a particularly modern idea. Of course the air conditioner of today is a far cry from the early machines that relied on ice and fans, but the basic principle of air conditioning is hundreds of years old. Whether you’re looking for AC repair in Murfreesboro or buying a new AC system, this brief look at the history of air conditioning is a fun way for you to learn more about one of our most important modern appliances. 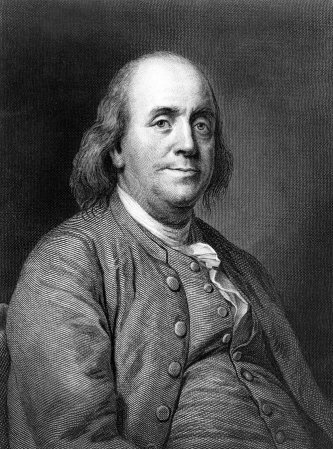 The groundwork for the eventual air conditioner was laid more than 250 years ago when Benjamin Franklin and Cambridge University professor John Hadley discovered that evaporation of alcohol and other volatile liquids can cool down an object enough to freeze water. This fundamental principle is still at the heart of all air conditioning systems. In 1902, Willis Carrier invents the Apparatus for Treating Air for a lithographing and publishing company in Brooklyn, NY. Carrier’s machine blows air over cold coils to control room temperature and humidity. The machine is designed to keep paper from wrinkling and keep ink aligned. As demand grows for Carrier’s Apparatus, he establishes the Carrier Air Conditioning Company of America. Air conditioning is available in homes for the first time in 1914. The very first residential AC system was in the Minneapolis mansion of Charles Gates and was approximately seven feet high, six feet wide, and 20 feet long. Oddly enough, this giant residential AC unit was possibly never used because no one ever lived in the house. The future of air conditioning can be summed up in two words: Energy efficiency. Thanks to federal standards that went into effect in 2006, air conditioners must achieve a minimum energy efficiency rating (SEER 13). The good news is that plenty of AC manufacturers exceed these standards, providing even greater energy savings. Your Murfreesboro HVAC installation company can help you pick out the most energy-efficient AC system for your home.